Advanced Card Systems Ltd (ACS) has been one of the world’s top three suppliers of smart card readers for almost two decades. As a winner of the Product Quality Leadership Award for Smart Card Readers from Frost & Sullivan, ACS is committed to providing top-quality smart card and RFID reader technology and further strengthening their position as a world leading supplier. 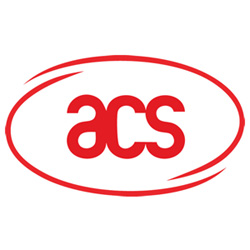 ACS is an environmentally conscious company that combines scientific innovation with Confucian thought to build a mindfully sustainable business. Their goal is to be able to provide electronics while maintaining green practices. ACS products are specially optimized to meet a business’s smart card reading needs across a wide platform of applications, such as retail, automatic fare collection, parking, fast food, and convenience stores. Whatever the case may be, ACS products will get the job done quickly, efficiently, and with minimal environmental impact. For assistance on selecting which ACS product is right for you, contact us here.